Corey Kaplan explores production design of the 1978 COMA vs the 2012 remake. American Cinematheque, Art Directors Guild Film Society and The Hollywood Reporter present Art of The X-Files. Stately, Grand and Recycled. The sets of THE WHOLE TRUTH. 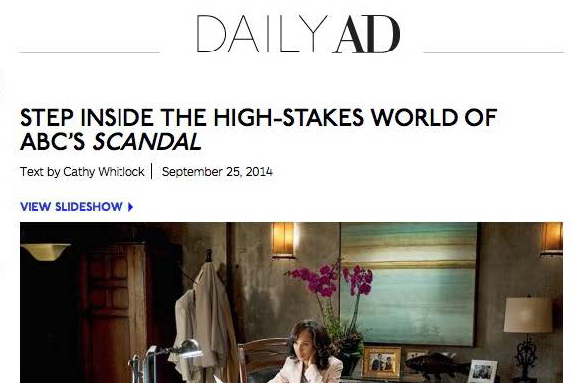 Step Inside The High Stakes World of ABC'S SCANDAL.